1989 was supposed to be a fabulous year for the original Luv' members. 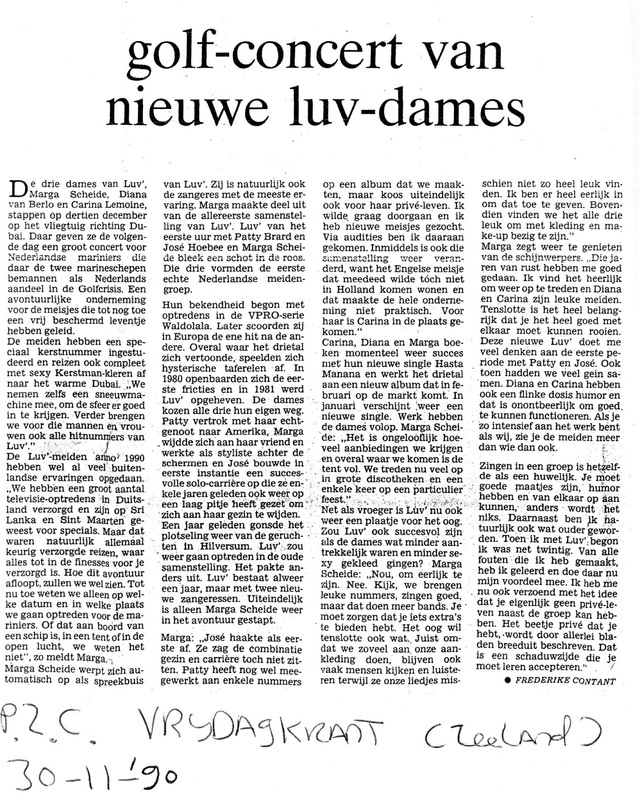 The ladies planned a comeback without Hans van Hemert who created the group. 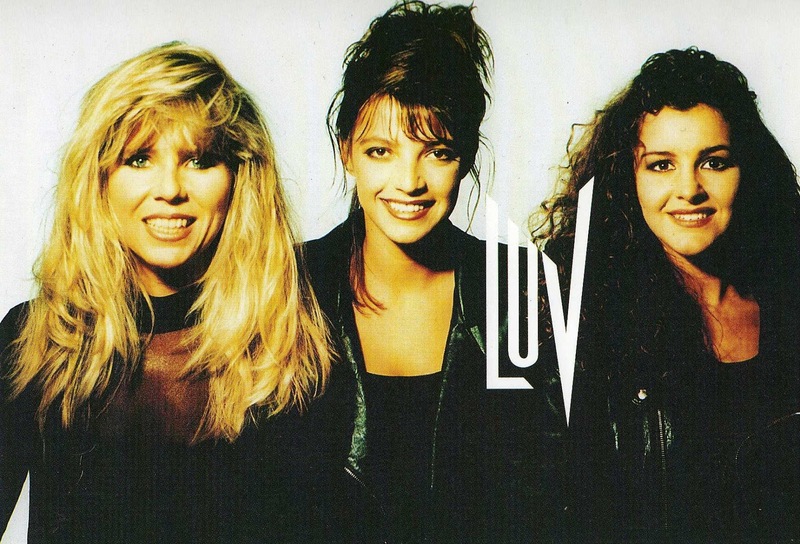 After the lawsuits in the 1980s between the singers, their producers and their manager, Marga Scheide was allowed to hold the copyright on the name " Luv' " and was ready to resurrect Holland's most popular female pop trio. 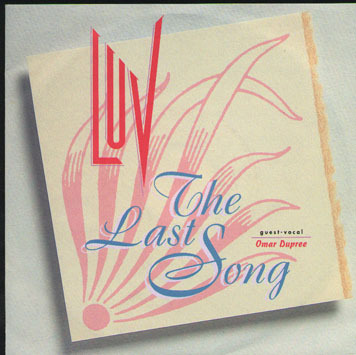 Luv' was rumoured to record an album with "Stock, Aitken & Waterman" (see Chapter VI). The press revealed that they might perform material which was first intended for the sister duo "Mel & Kim". The Appleby siblings could not complete their second album due to Mel's cancer. Unfortunately, the partnership between Luv' and the "UK hit factory" never saw the light of day. The reunion did not happen the way it was supposed to be. José Hoebee didn't want to take part in a revival as her son Tim suffered from ADHD (Attention Deficit Hyperactivity Disorder). 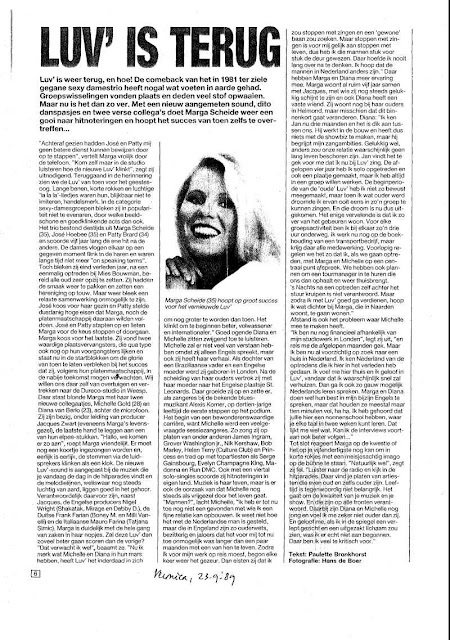 The songstress retired from show business to devote more time to her family in Best, a village in the southern Netherlands. She was replaced by 23-year-old vocalist "Diana van Berlo". 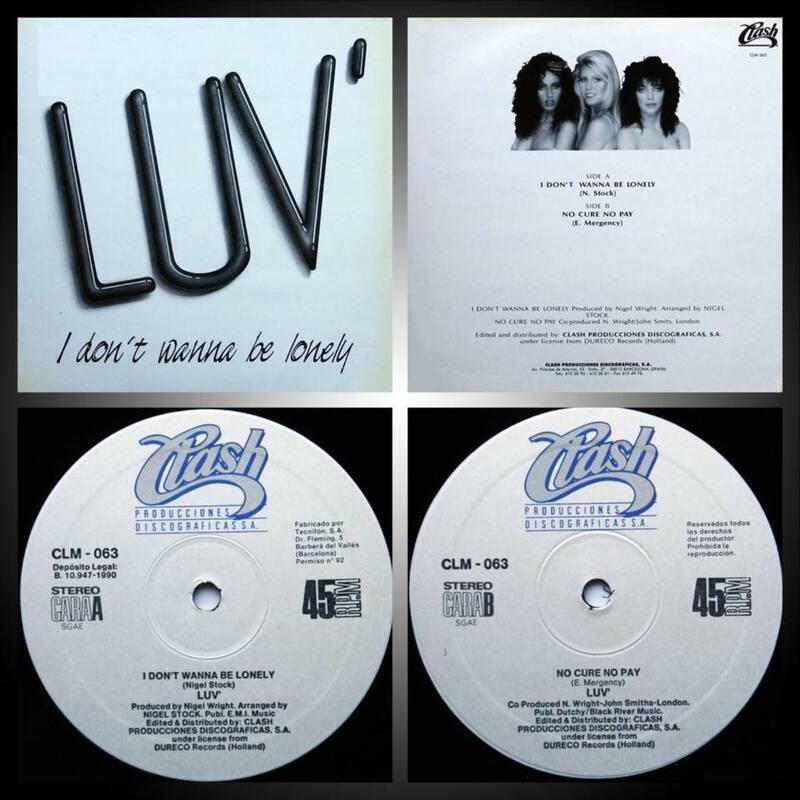 The new " Luv' " line-up signed a deal with High Fashion Dance Music/Dureco Records. 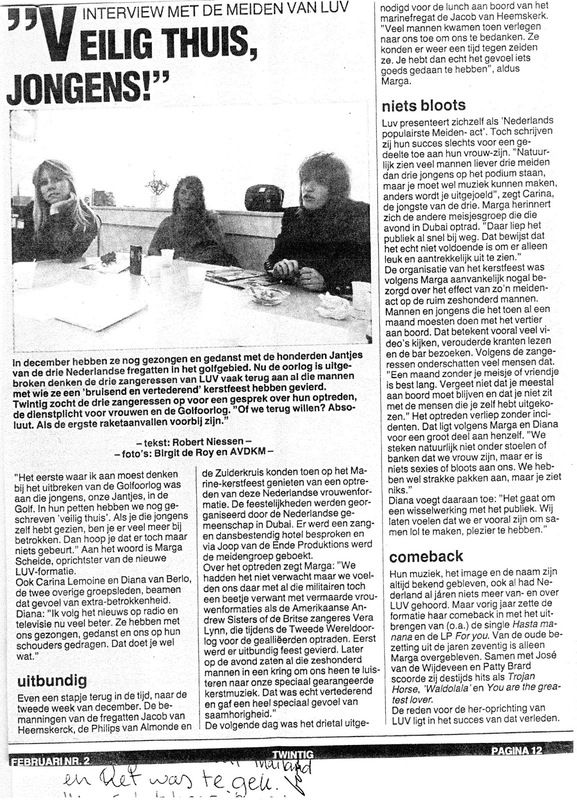 In August, Patty Brard suddenly left the group. 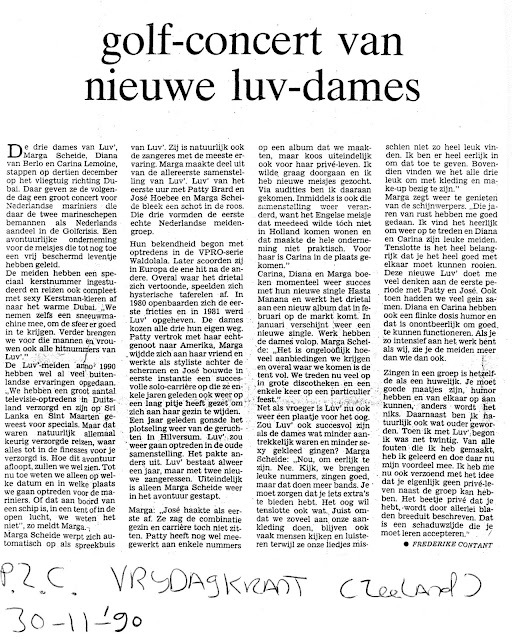 She was not motivated by the comeback as she was worried about her divorce with Carlo Nasi and got a new job as a TV host on the first Dutch commercial TV channel "RTL Veronique". 28-year-old British vocalist Michelle Gold took the place of Patty. She was an experienced singer who cut a couple of solo records and did background vocals for many recording artists in the music industry (including James Ingram, Grover Washington Jr., Nik Kershaw, Helen Terry, Princess, Evelyn "Champagne" King and Run DMC). With the help from Marga's partner Jacques Zwart (aka E. Mergency), a new repertoire (highly inspired by the catchy sound of "Stock, Aitken & Waterman") was chosen. English producer Nigel Wright was hired to supervise the recording sessions of the EP "For You". This former member of the legendary Jazz-funk band Shakatak was a veteran of the music scene thanks to the hit records he produced for Mirage, Imagination and numerous acts. The first single taken from Luv's mini album was the Dance pop track "Welcome To My Party" which came out in the autumn of 1989. 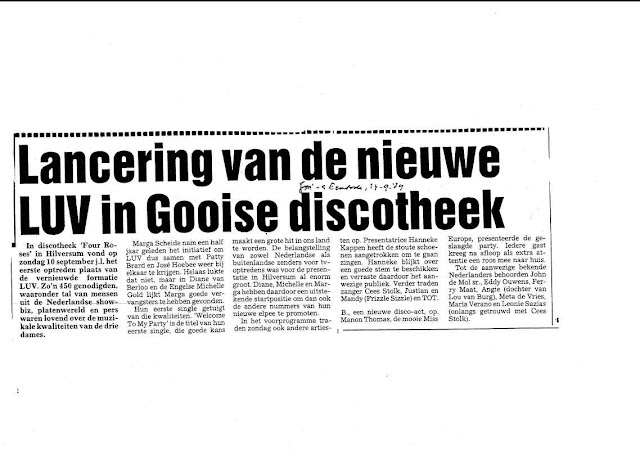 The first live show of Marga and her new colleagues took place at the Four Roses Discotheque in Hilversum in front of a select audience (including TV mogul John de Mol) on September 10th. 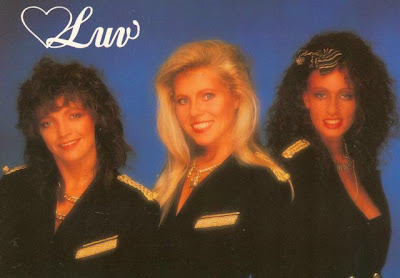 A few days later, the viewers watched the first TV performance of the "new" Luv' trio on TROS program "Grote Club Show". 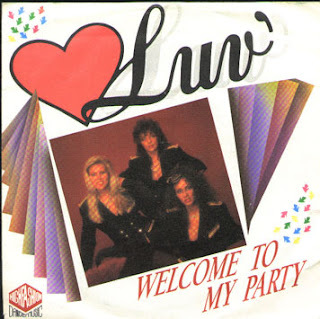 Welcome To My Party peaked at #22 on the Dutch Top 40 and #19 on the Nationale Hitparade in the Netherlands. It also reached #28 on the BRT Top 30 in Belgium. In the meantime, Patty Brard started to host the Candid camera-like program "Gaan met die Banaan" on RTL Veronique (currently RTL 4). 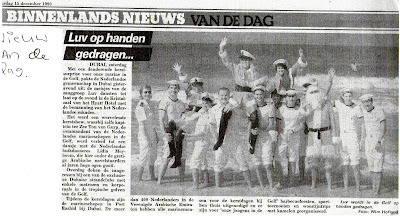 Patty on "Gaan met die Banaan"
In late 1989, Luv' and other Dutch pop acts (Desirée, Justian & Mandy, MC Miker G, Marjon, Nando, Oscare, Sisters) joined forces in the "All Stars" project to raise funds for third world children. 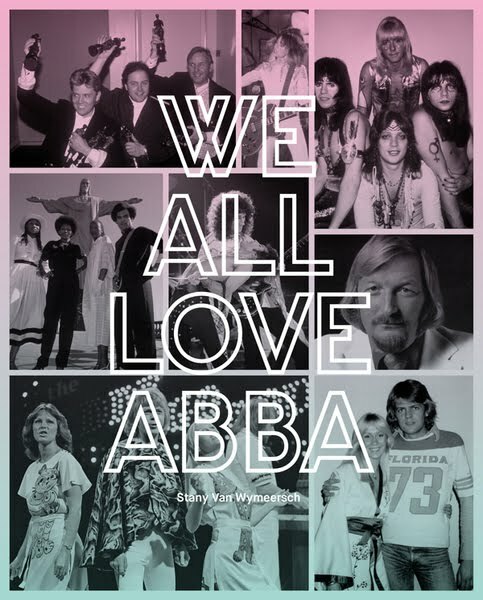 They recorded a cover version of Starmaker (originally performed by The Kids from Fame in 1982) and released it as a charity single (which peaked at #57 on the Nationale Hitparade in Holland). On December 18th 1989, a TV special "Muziek in Natura" (taped in Sri Lanka) aired on AVRO. The next single was entitled "I Don't Wanna Be Lonely" and issued in 1990. It was a cover version of a club hit by Joan Orleans but it flopped. 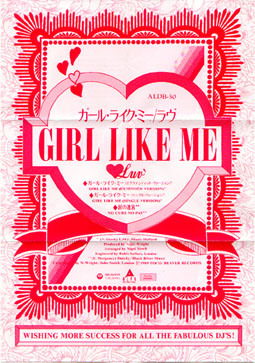 Then Dureco Records licensed "Girl Like Me", a track taken from the "For You" EP, to the Japanese label Alfa International. It was promoted as an "Eurobeat" song (this music style was popular back then in the Asian archipelago) and was included on Japanese compilations. This strategy to conquer the "Land of the Rising Sun" did not succeed. 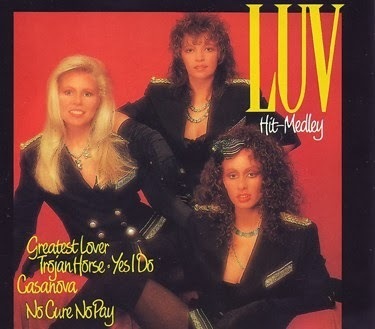 Marga tried to recapture the joyful sound of the original "Luv'" formation with the follow-up single: "Hit-Medley". Meanwhile, Mercury/Phonogram Records (in charge of the back catalogue of the initial trio) released a compilation ("Greatest Hits") which featured tracks from the late 1970's and a megamix ("Luv' Hitpack") conceived by the then successful producer and remixer Peter "Hithouse" Slaghuis. 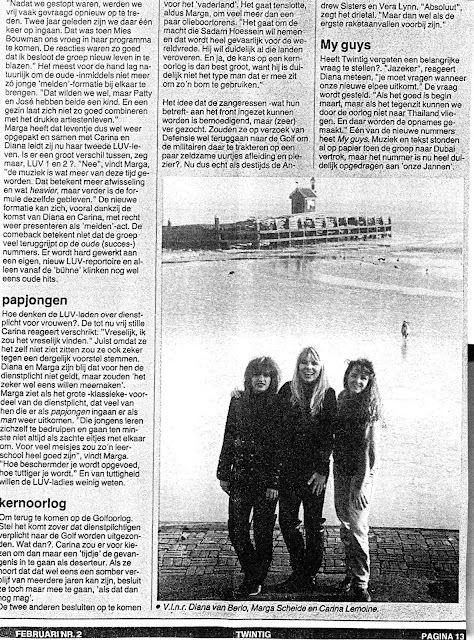 In June 1990, Michelle Gold left Luv' as she could not cope with family duties and frequent round-trip flights between England and Holland. She was replaced by 20-year-old Carina Lemoine. This umpteenth line-up change coincided with a new contract with RCA/BMG. The new incarnation of the group put out a Latino-Dance single: "Hasta Manana". 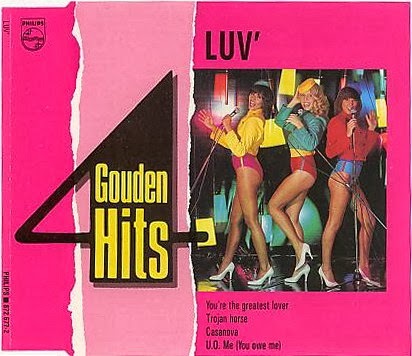 Former Luv' member Ria Thielsch supervised the styling of the girls for this record. In December 1990, Luv' gave a special performance in Dubai to support Dutch marines involved in the First Gulf War, following in the footsteps of Marlene Dietrich, Marilyn Monroe or Raquel Welsch who had entertained soldiers. This special show generated a lot of publicity. 1991 saw the release of the "Sincerely Yours" album. 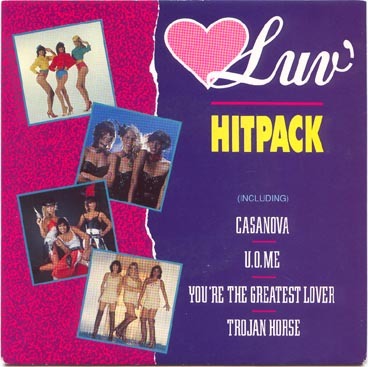 This CD was named after a cover version of a US Top 20 hit originally performed by the American girl group "Sweet Sensation". The songs on this opus were marked by Pop music (Sentimental Fool, The Last Song), Dance music (2am Saturday Night, I Wanna Make Love To You), Flamenco and Latin American sounds (Hasta Manana, Sincerely Yours, Canta De La Luna) as well as Jazz (He's my guy). This material was produced Jacques Zwart. Holland's best session musicians were recruited for the recording of this opus: Bert Meulendijk, Eddie Conard, Hans Jansen, Lex Bolderdijk, Omar Dupree and Ton op 't Hof. They had collaborated with artists like Bolland & Bolland, Paul de Leeuw, Gordon, Lee Towers, Herman Brood and Dolly Dots. 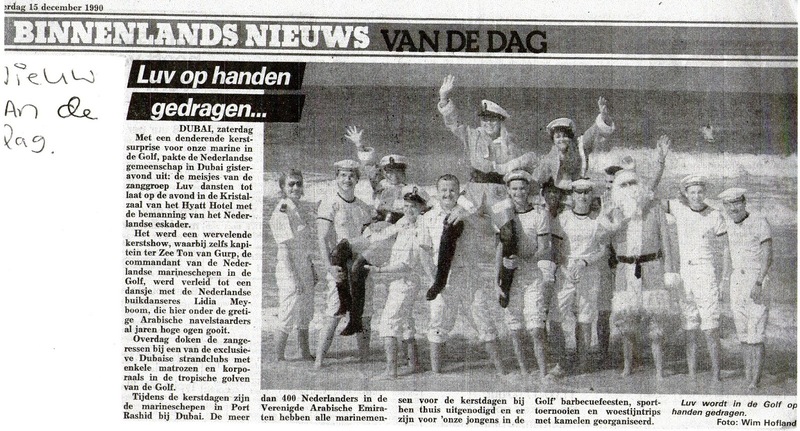 Despite their participation, Sincerely Yours failed to make any chart impact and just delivered a minor hit: He's my guy which peaked at #75 on the Dutch single charts. 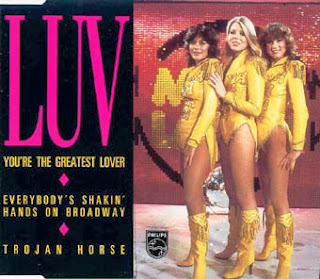 Although mainstream success was a distant memory for Luv', the ladies often toured the club circuit. In April 1991, the trio appeared on the TV special "Luv' in Thailand" which aired on Veronica/Nederland 2. 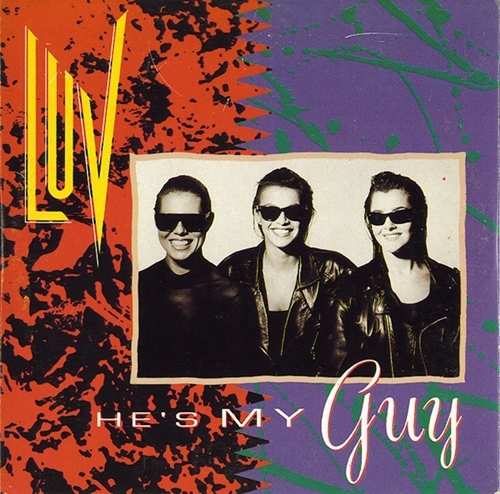 In 1992, they covered a Motown classic "This Old Heart Of Mine" (originally performed by The Isley Brothers in 1966). Their Dance rendition was a commercial failure. Soon after promoting it, Luv' disbanded without glory. The following year, the fans and the media rejoiced. But why? Spanish pressing of "I Don't Wanna Be Lonely"